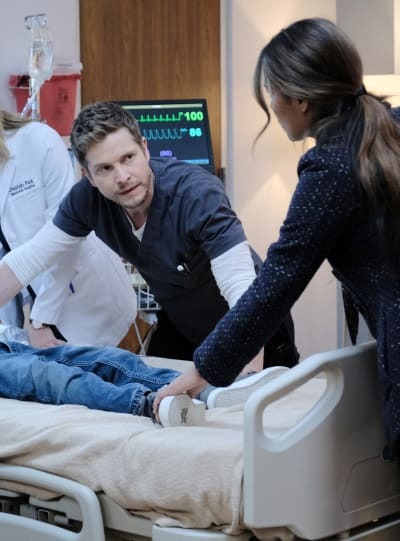 If it wasn't already clear that Randolph Bell has evolved since the first season of The Resident, his compassionate plea to the board during The Resident Season 2 Episode 16 confirms it. 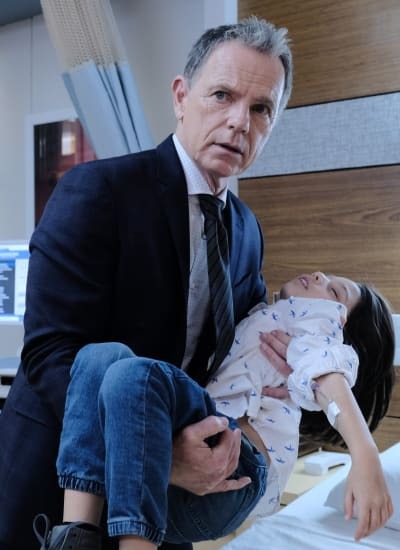 After the heart-pounding and terrifying events of The Resident Season 2 Episode 15 that nearly cost Henry his life, Bell has taken it upon himself to appeal to the board in hopes of cutting ties with QuoVadis. For those of you (like myself) who have been dying for more of Conrad's father, Marshall is shown in the clip, and he's backing and fully supporting Bell. Bell recounts to the board the events that have taken place, and it's evident the near death of Henry rattled him. He can't bring himself to think about losing a child, and he wants to make sure that it doesn't happen again. It's the most compassionate and affected that we've ever seen Bell. Bell had his reservations about Quo Vadis, but his turning point was Henry's hospital visit. 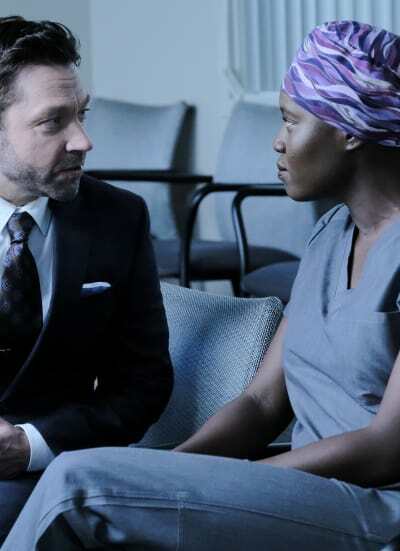 Bell even goes as far as to commend Conrad's actions, and it usually takes a lot to sing the praises of the resident who is typically a thorn in his side. The board is still hesitant to sever their ties to QuoVadis. As usual, money talks, and they're thinking about the commitments made and the potential effects. 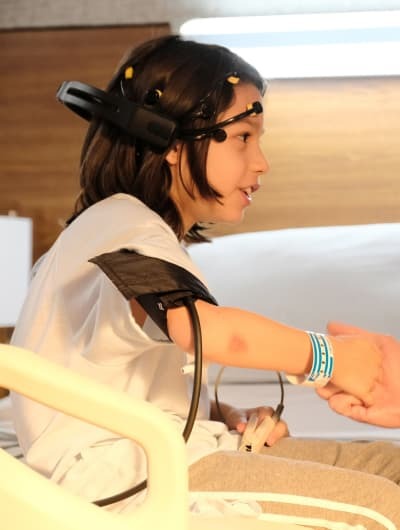 Some board members are arguing that the near-death of Henry and actual death of Bradley are mere "isolated incidents" and that medical devices are known to have some failures. They remind Bell that their relationship with QuoVadis has increased revenue and stocks have gone up. The hospital is profiting off of this relationship, and they are reluctant to throw that all away. They also remind Bell that he is the one who brought Gordon and QuoVadis in. Bell's passionate plea to the board includes telling them that a child nearly died and he can't live with himself if that happens again. He hopes that they can't either. Everything and everyone is closing in on Gordon and QuoVadis. It's only a matter of time before they take this awful company led by this terrible person down. It's heating up on The Resident! Are you ready for an all-new episode?! Check out this sneak peek of tonight's all-new episode and return later for a full review! If you need to catch up; you can watch The Resident online here via TV Fanatic!